Music downloads can not be easier. 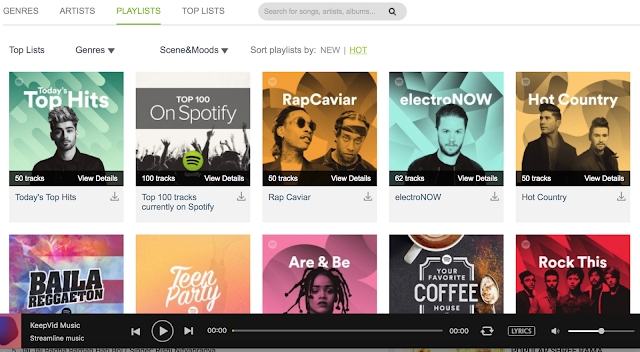 Millions of online users search for free music downloads on the web. There are many websites that offer free music streaming, however, downloading music from these sites is not easy. This article is covering an exclusive review of music download software that can help you download music. KeepVid Music is a popular music download software with support for many websites. It supports download from more than 3000 video and music websites. KeepVid Music is a powerful music download software. This amazing software supports video websites such as YouTube, Vimeo & Dailymotion. 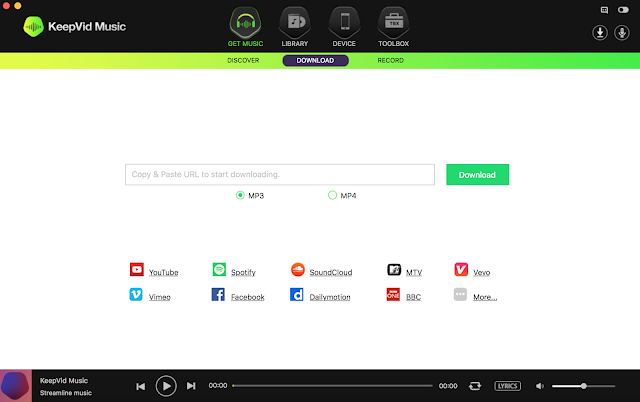 You can also download songs from popular songs websites like Spotify, Soundcloud and others. 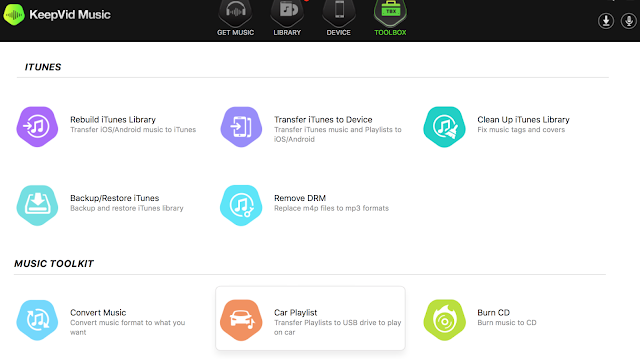 Along with song download feature, KeepVid Music also has some useful features to maintain and organize your music. Many people stream music all the time, however, some may not like to exhaust mobile data plan limits. In such cases, it can be handy to use the downloaded music. Also, there are times when you may not have an internet connection or do not have coverage. This is often seen the problem during a commute. Having the favorite songs on a mobile phone would make the commute much easier. KeepVid Music is a simple downloader for music available on websites. You just need to provide the webpage URL that has video or audio and it can download the required music. The software is smart to figure out the downloadable formats and understand website structures. If the website music format is not supported by your music player you can also use the format converter for audio files. There are so many sites supported by KeepVid music that you may get lost in it. I prefer to download from following sites often. KeepVid Music software can easily download large audio files (more than 30 minutes duration) from YouTube within few seconds. It also provides a way to download only mp3 version of a song. This feature is really handy when you want to download your favorite song from YouTube. The record feature in KeepVid Music is user-friendly. You can easily do the recording in the record tab. This can record any audio from sources like YouTube or online radio. The quality of the recording is better as compared to average audio recording software. KeepVid music is also very smart about automatically finding audio details such as title, artist, genre and more. This makes your library a lot richer and convenient to handle. KeepVid downloaded music can be easily played in the music player in Library. This player does not have a lot of fancy features, however, it is sufficient to try and test what you have downloaded. It supports lyrics display and repeats mode. Keeping all your music in sync with all your devices is a very common need. I always want to transfer my favorite songs to my phone. KeepVid Music can also sync music to smartphones. It supports iPhone, iPad, iPod and Android devices. You can connect any device using a USB cable to your Macbook and sync your playlists to your device. The Toolbox screen on KeepVid Music contains a few useful features as listed below. Converting music to different supported format can be painful at times. Most software does not do a good quality conversion. KeepVid Music allows you to convert your music files to various format with high quality. 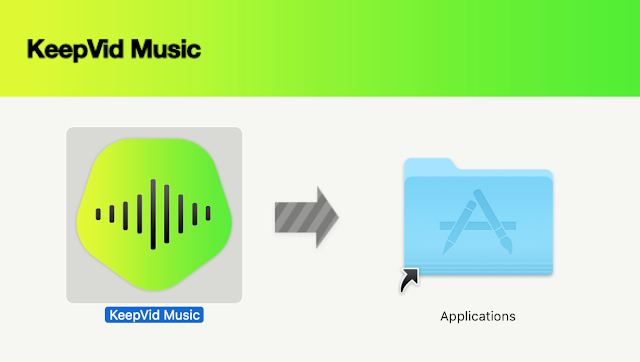 This makes it easy to organize and share music at different devices. It supports MP3, MP4 and WAV file formats. This is my favorite feature. I love to use a USB stick in a car to listen to latest songs. KeepVid makes it really easy to transfer songs to a USB stick. Just visit the toolbox section on KeepVid music and click "Car Playlist". You can transfer all your playlists to a USB drive using this feature. KeepVid Music also supports burning CD feature. This can avoid the need of a CD writing software. Not many people use CD these days. However, If you ever want to burn a CD from your music you can conveniently do it using KeepVid music in the toolbox section. The KeepVid Music is a very useful software with many good features. It can do the job of CD burner, music downloader and music converter in one place.